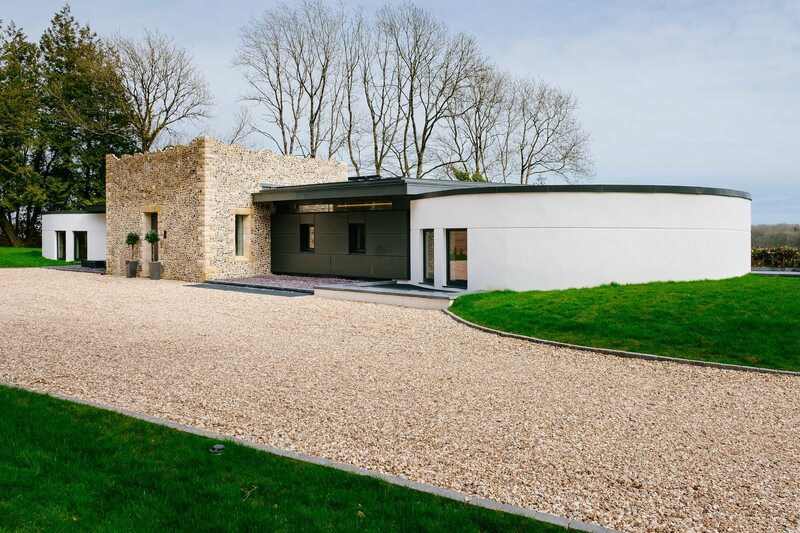 This new build contemporary building in East Devon is on the site of a former Victorian water tower and two circular water tanks. The Rousdon estate water towers were demolished and reconstructed to be used as a high-end holiday rental property. This new stunning structure was designed to balance the character of the original water towers with a modern minimal aesthetic. 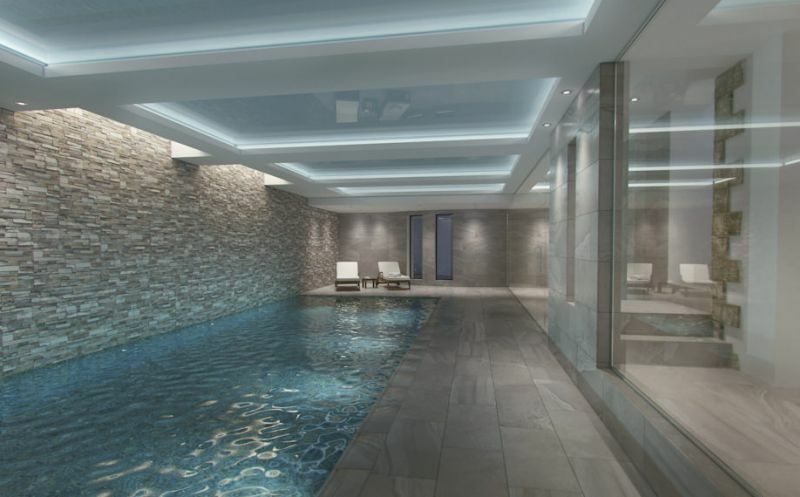 This design boasts a games room, changing room and swimming pool in the basement and an extensive entrance hall, with five bedrooms, four bathrooms, kitchen, dining and lounge area on the ground floor level. 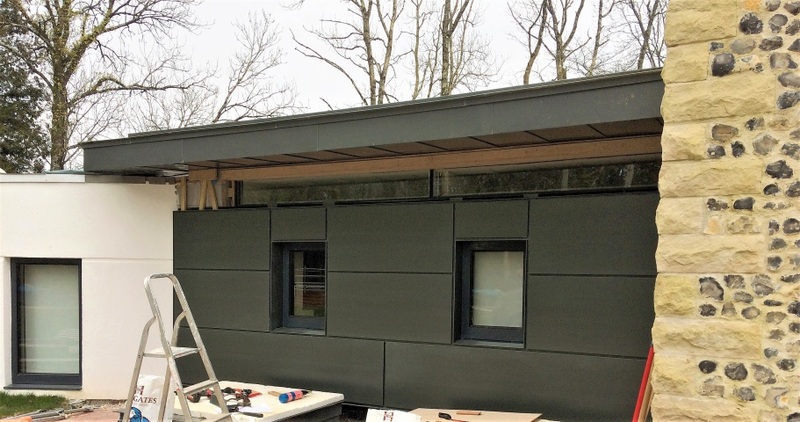 This building needed to perform to a high standard, without sacrificing its design principles. The building fabric not only had to be versatile to create the large cylindrical towers, it also had to be highly insulated to compensate for the large volume of glazing to the central facade. 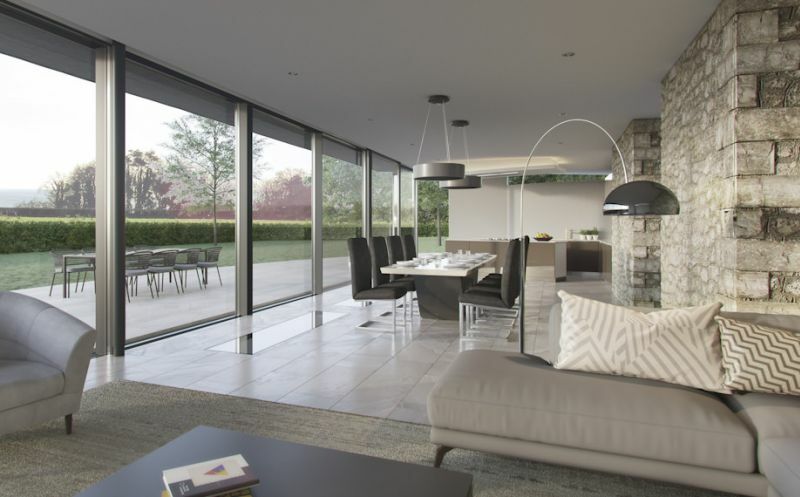 A vast wall of floor-to-ceiling sliding doors were specified to open out onto a patio to flood the open plan kitchen, living and dining area with natural light. Designed to conform with the original layout of a rectangular building (now with a glass façade) between two circular towers was a construction challenge that Thermohouse was easily able to accommodate while achieving an energy efficient building with a total floor area of approx. 500m2. 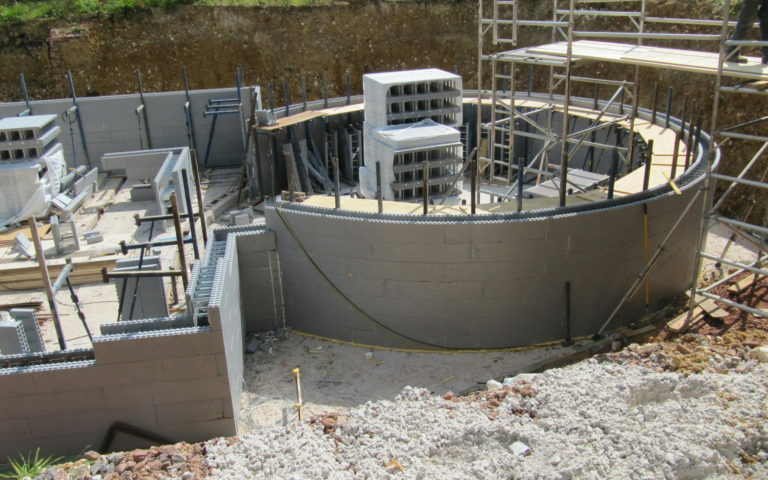 Two large radii were constructed using our ICF blocks. 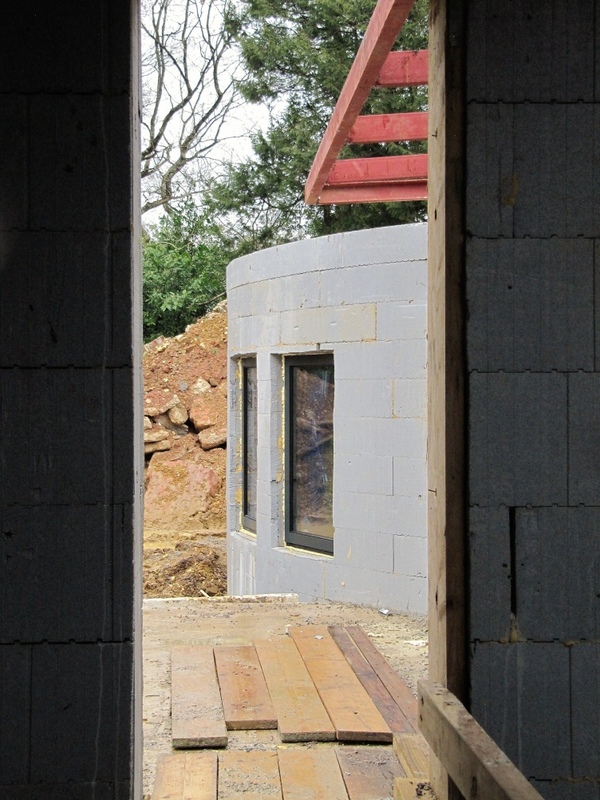 The curved ICF structures were joined to a central rectangular pavilion. All external walls were braced internally. Concrete was poured and vibrated. 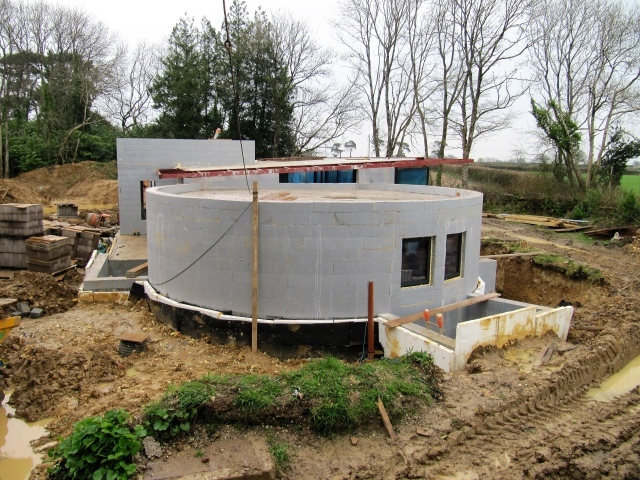 The concrete floors in the cylindrical forms were built using our low energy flooring panels. 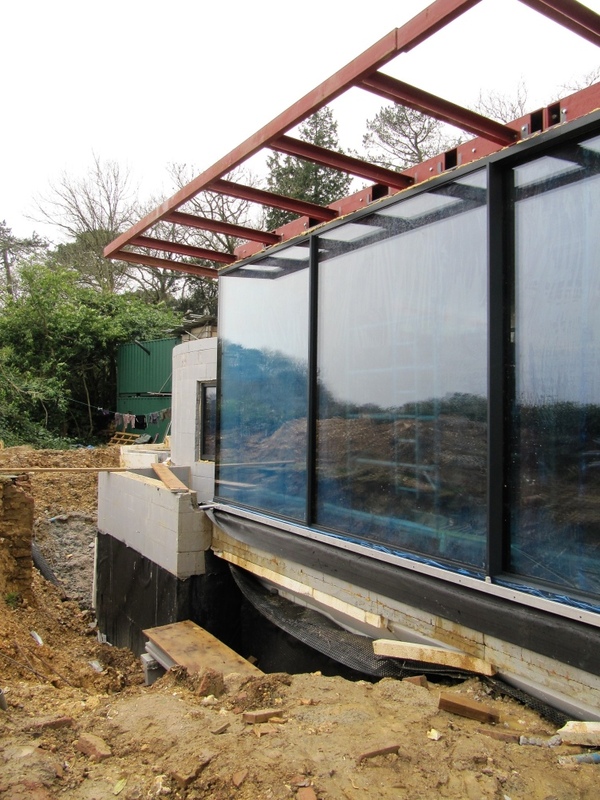 The entire structure was then finally covered with passive roof panels to complete the thermal envelope. A deliberately small team of architects who share the belief that bold contemporary design can be combined with sound sustainable principles to transform the way we live. 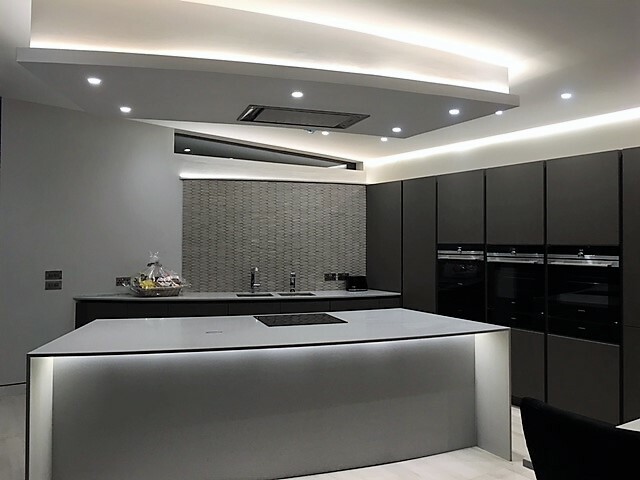 CaSA are passionate about creating outstanding architecture that is carefully tailored to their clients’ site and budget. 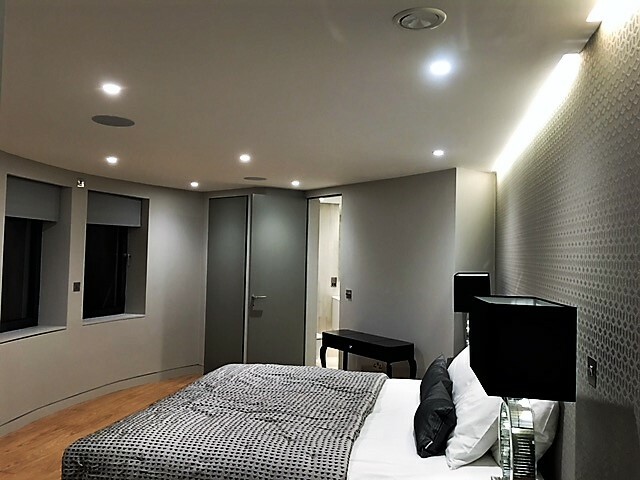 Working at all scales, on new, existing and historic buildings alike, CaSA can cover every aspect of the process, from initial feasibility all the way through to site management.